NEW YORK, Aug. 28, 2018 – Atlanta Dream General Manager Chris Sienko has been named the 2018 WNBA Basketball Executive of the Year, the WNBA announced today. Sienko earned the honor in his first year in his position. Before being named the Dream’s general manager in November 2017, Sienko joined the franchise the previous month as an adviser to assist with hiring a new head coach. In that role, he was instrumental in the hiring of Nicki Collen. In her first head coaching position at any level, Collen guided Atlanta to the No. 2 seed in the 2018 WNBA Playoffs. Collen today was named the 2018 WNBA Coach of the Year. The Dream will host the Mystics in Game 2 of a best-of-five Semifinals series tonight at 8 p.m. ET on ESPN2. In Sienko’s first season with Atlanta, the Dream won 15 of its final 17 games to finish with a 23-11 record – an 11-game improvement over last season’s 12-22 mark. The 23 victories are the most in franchise history, surpassing the previous mark of 20 set in 2011 (20-14). The season-ending 15-2 surge featured a team-record eight-game winning streak. Since Sienko joined Atlanta in a full-time capacity, the Dream has maintained and added to a strong core of players that includes 2017 All-Stars Tiffany Hayes and Elizabeth Williams. Under his leadership, the additions began in February when the Dream re-signed five-time All-Star Angel McCoughtry to a multi-year contract and signed former All-Stars Jessica Breland and Renee Montgomery as unrestricted veteran free agents. McCoughtry averaged 16.5 points and a career-high 6.0 rebounds per game this season. Breland registered career bests in rebounds (7.9 rpg) and blocks (1.91 bpg). 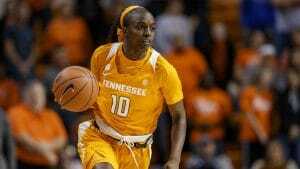 Montgomery (10.3 ppg) posted her highest scoring average in six years. 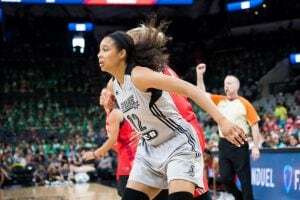 In July, Atlanta acquired guard Alex Bentley from the Connecticut Sun in exchange for guard Layshia Clarendon and a second-round pick in the 2019 WNBA Draft. Bentley played a key role coming off the bench for the Dream, which posted a 14-2 record after trading for the six-year veteran. Sienko also signed Hayes to a multi-year extension in August, further solidifying the Dream’s nucleus. Sienko is the second winner of the WNBA Basketball Executive of the Year Award. Last year, Sun General Manager and Head Coach Curt Miller was the inaugural recipient. Below are the voting results for the 2018 WNBA Basketball Executive of the Year Award.